A court in Oslo has once again handed down a jail term to Mullah Krekar, the refugee from Northern Iraq who’s been in and out of court for years. He was sentenced on Friday to 18 more months in prison after being found guilty of making new threats. Krekar had been indicted for making threats and encouraging others to commit criminal acts. 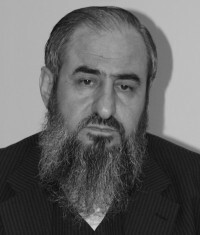 This time the threats were made during an interview Krekar taped with Norwegian Broadcasting (NRK) earlier this year. In it, Krekar said, among other things, that he “would send a gift” to anyone who killed a Kurdish man living in Norway, Halmat Goran. Judge Peter A Blom ruled that Krekar’s comments absolutely constituted threats and that they weren’t protected by Norwegian laws guaranteeing freedom of expression. In addition to handing Krekar an 18-month jail term, Blom also ordered him to pay NOK 75,000 to Halmat Goran. Krekar was sentenced to five years in prison in 2012 for threatening Erna Solberg, who currently serves as Norway’s prime minister. Krekar, who came to Norway as a refugee in 1991, had earlier been determined to be a threat to Norway’s national security but Norwegian authorities have been unable to deport him back to Northern Iraq because authorities there won’t guarantee he wouldn’t be executed. Norwegian authorities won’t, in principle, send convicts to countries where they would be subject to a death penalty.